A New Orleans summer teaching fellowship is wooing young black teachers — but is it enough? 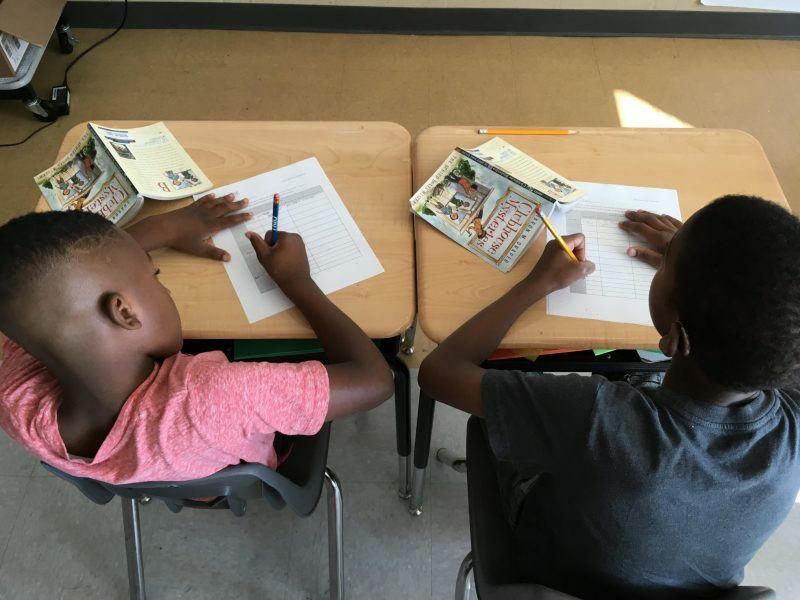 NEW ORLEANS — Yawns and sleepy stretches punctuated the silence as Brandon Mercadel’s third-graders rooted around their desks for “The Buried Bones Mystery,” the subject of today’s lesson about text evidence. One student laid his head on his desk and slipped off his high-top sneakers, prompting another student to silently mouth “pew!” and clamp his fingers to his nose. Mercadel smoothly switched tracks and lead the group of seven children in a rousing set of full-body stretches and jumping jacks. Mercadel is 22 and will be a senior at Xavier University of Louisiana this fall. 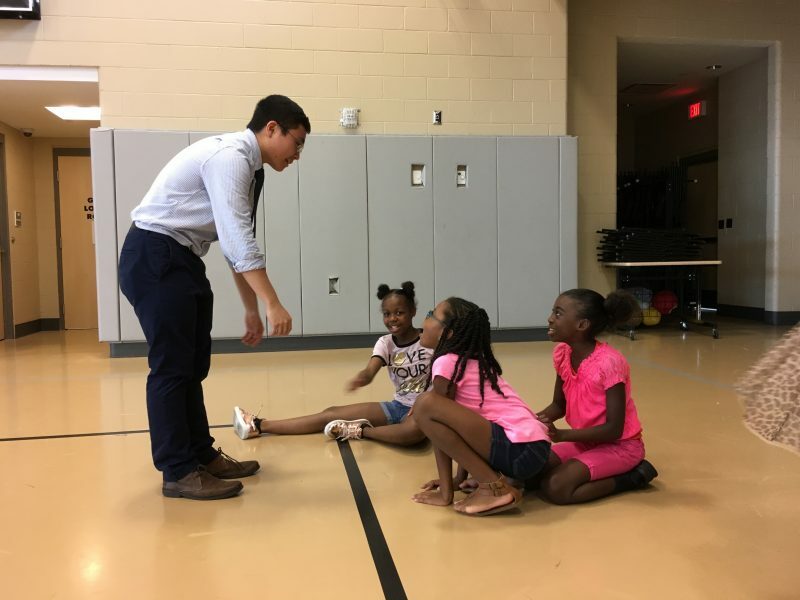 This is his second summer teaching a six-week intensive camp called Summer Experience, a collaboration between Relay Graduate School of Education and New Orleans-based charter network, FirstLine Schools. Mercadel earns $2,250 for his work as a summer teaching fellow. In addition to providing a free, semi-academic camp for local children who attend FirstLine schools, the goal of the program, say its organizers, is to hook college students like Mercadel into a long and stable career in teaching. It’s one effort to help avert a brewing crisis for New Orleans schools: By 2020, the city will need to hire more than 900 teachers annually, an increase of nearly 40 percent from 2010, according to estimates by New Schools for New Orleans. 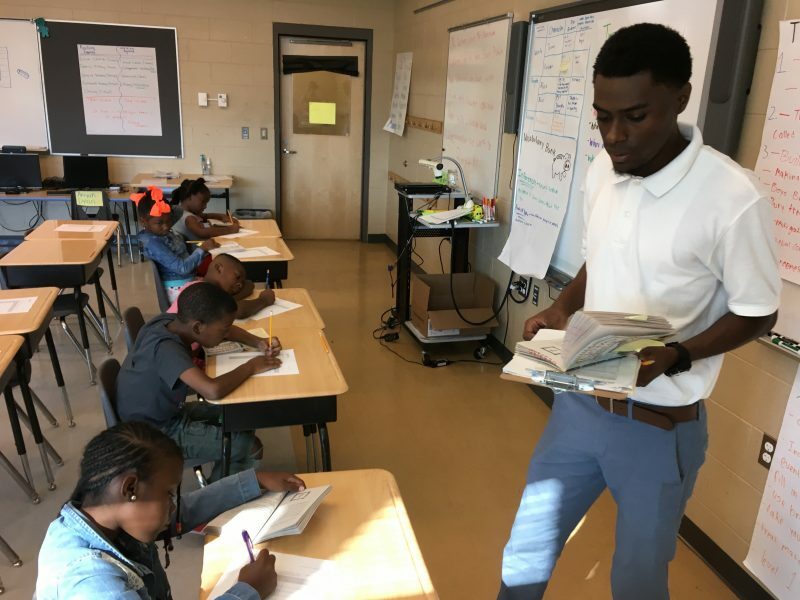 To fill those slots, many schools are looking for teachers like Mercadel: a black, male, New Orleans native, with plenty of family living in the city, who is deeply committed to the teaching profession. Research shows that black teachers connect more deeply, hold higher expectations, and provide stronger role models for black children, who make up nearly 90 percent of the city’s public school students. The hope is that teachers with family roots in the city will stick around, slowing down the rate of teacher departures, which doubled after post-Hurricane Katrina reforms. 90 percent — Percentage of black students in New Orleans’ public schools. FirstLine and Relay’s partnership is one of a smattering of efforts meant to address a problem largely of the city’s own making. After Katrina, the entire teaching force, which had been majority black, was fired and had to reapply for jobs. In a push to raise test scores and other metrics, such as high school graduation rates, the state of Louisiana took over most of the city’s schools and converted them to publicly funded, privately run charter schools. Although a small fraction of the fired teachers found jobs in the new regime post-Katrina, schools staffed-up quickly with inexperienced teachers — most of them white — from national prep programs like Teach for America and TNTP’s teachNOLA. Now, the city’s teaching force is 49 percent black; before the storm, it was 72 percent black. 49 percent — Percentage of New Orleans’ teaching force that is black. Before Hurricane Katrina, black teachers made up 72 percent of the teaching force. Several additional factors conspired in recent years to reduce the number of qualified teachers. Louisiana slashed its higher education budget, which hurt local university-based education programs. Institutions like the University of New Orleans trimmed or eliminated teacher training programs in an effort to stay afloat, cutting off many of the traditional routes that used to supply local teachers. Negative perceptions of the teaching profession also contributed to the dwindling local teacher supply, an issue that extends far beyond the city limits of New Orleans. Tapping into that visceral connection early, and then nurturing and supporting young teacher candidates until they are fully trained to enter — and remain in — the workforce, might be a key to diversifying and expanding the number of candidates who enter the teacher pipeline. 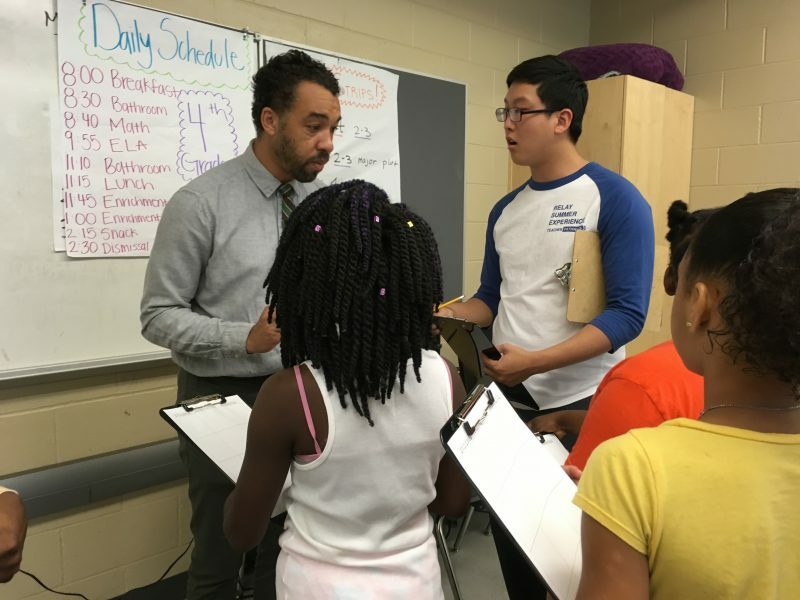 At least that’s what organizers of the Relay Summer Experience are betting on as they, along with several other charter management organizations in the city, work on identifying more students like Mercadel and persuading them to try teaching. Related: How to find minority teachers who want to stay in the job? Not everyone agrees that schools should be focusing efforts on matching students with teachers of the same race. Although recent research bolsters the conclusion that black students in particular have better outcomes when they’re exposed to teachers who look like them, older research hasn’t always backed up those findings. Sawicki says he’s seen the difference having a teacher of the same race can make, however. The Relay program hasn’t yet found the secret to connecting with more local students. This year, the group of teachers-in-training is mostly from Texas, with 12 attending Texas colleges. Only three are originally from Louisiana; six are students in Louisiana colleges who may, or may not, stay in the city post-college. 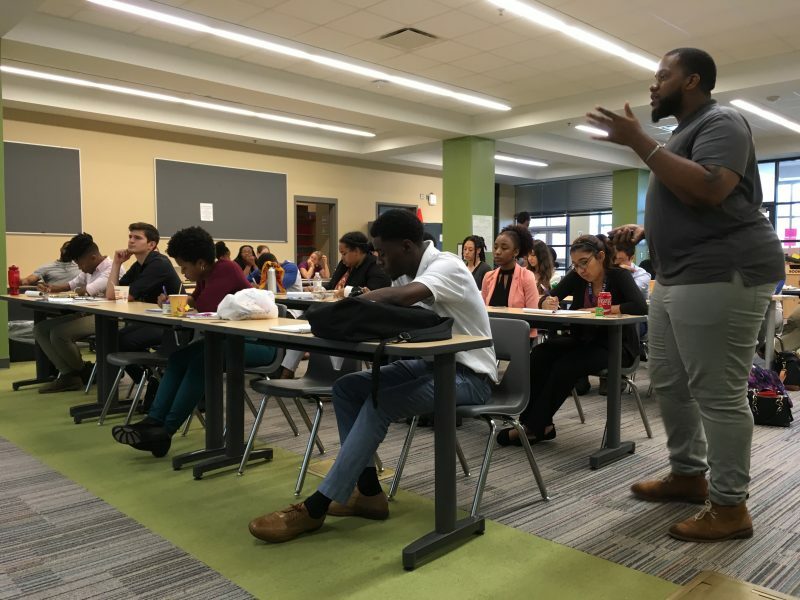 At FirstLine Schools, where teacher and student demographics closely mirror those of the rest of the city’s schools, Altman says partnering with Relay’s Summer Experience is just one part of fixing what’s ailing New Orleans’ teacher workforce. “Our goal is to get our teacher demographics much closer to that of the students we serve,” said Altman. He noted that FirstLine is, for example, collaborating along with four New Orleans charter networks in a Xavier University teacher residency in which diversity and community roots are key factors in recruiting candidates. “There are all these pieces to the puzzle of ‘how do we create a range of talent pipelines to create a more representative teaching force?’” said Altman.